This time of year can terrify even the most seasoned builder and new construction marketing teams…it’s the heart of the dreaded planning season! Don’t fear; there are ways to make the experience less frightful and more insightful. Here are some things to consider as you approach 2016. Is your spending mix designed to optimize results for how media is consumed today or are you relying too much on what has worked in the past? There’s a new media mix—and it is far different than ever before, with more media channels, more devices, and even more opportunities to connect with home shoppers. How do you find the most effective balance within a budget that makes sense now? Whether you”re a traditional publisher with corporate money at your disposal or a fly-by-the-seat-of-your-pants blogger, you should already have a solid strategy in place that guides the content you offer on your website. For most publishers, no matter their size, that strategy involves the kind of content that your site visitors read. Attention-grabbing headlines and search engine optimization (SEO) are no doubt at the top of your priority list, but with the popularity of websites such as YouTube, easy-to-use digital video equipment, and computer monitors that can double as television screens, content providers are beginning to recognize the importance and value of having a video content strategy as well. It”s becoming increasingly necessary to appeal to site visitors who want to view, not just read, your content. The data may not be particularly surprising, but it sure is impressive: fully 91% of online U.S. adults access social media in a typical month, according to a new study by Experian Simmons. That’s 129 million people, or 41.37% of the total U.S. population of 311.8 million; the figure doesn’t include millions of people under the age of 18 who use social media. As one might expect, among adults ages 18-24, the proportion using social media in a given month is 98%. Consumers have instant, regular, and repeated access to online deals on fashion, home goods, travel, and gourmet foods and they are loving it. You don”t have to be a group deal or flash sale site to make urgency a priority and a strategy for your offering, but you can learn from the growing numbers of these successful sites. EMarketer just released a study that details the growth of this relatively new form of e-commerce with highlights on the importance of email to trigger site visits and purchases. 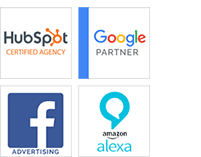 As any member of these sites will tell you, if site owners hit the right notes with a timely, targeted, and well-displayed reminder message, there is almost no barrier to the click and then just one short step to a sale. “Reinvent Everything” is the tagline for the Brand Packaging Conference I am at currently. With those powerful words, I want to reinvent my blog.